However, CD sales continue to grow in some Asian markets, including India and South Korea, and still account for a huge chunk of music-industry revenues in Japan, Germany, and Poland. In the US, CD sales are falling off a cliff. According to the Year-End Music Industry Revenue Report from the Recording Industry Association of America (RIAA), CD sales fell 34% in 2018, to $698 million (all figures USD). This was the first time since 1986 that US CD sales were less than $1 billion. Last year, physical media accounted for a mere 12% of music-industry revenues in the US. As a whole, the recording industry is growing, thanks to surging revenues from streaming -- up 34% worldwide, according to IFPI, and up 30% in the US, per the RIAA. Last year, streaming accounted for 75% of music-industry revenues in the US, and 46.9% globally. That doesn’t mean that the CD is now irrelevant. People are still buying shiny discs and, more important, lots of people have huge CD collections. But as music lovers turn to streaming as their primary source of new music, a question emerges: How can they integrate their CD libraries with their preferred streaming services? The obvious answer is to rip their CDs to a computer hard drive, then use an app that lets them cue up music from local and networked sources. But you don’t have to rip to a computer. Audio companies make products for ripping CDs and storing music, such as the Bluesound Vault 2i ($1199), which I reviewed in January, and the Naim Uniti Core ($2795), reviewed here. Unlike general-purpose PCs, the Uniti Core is specifically designed to rip, store, and play music. On the front of the Uniti Core is a slot-loading optical drive. Insert a CD, and the drive immediately starts to whir as the Core writes its contents to an internal, external, or networked drive. The Uniti Core will also download from the Internet album, track, artist info, and album art, and record this metadata along with the music. According to Naim, the Core can manage libraries as large as 100,000 tracks. It can play WAV files to 32-bit/384kHz; FLAC, ALAC, and AIFF files up to 24/384; and DSD64 and 128. For playback, DSD is converted to PCM. On the back of the Uniti Core is a BNC S/PDIF digital output, for direct connection to a component with an S/PDIF input. You select music and control playback with the free Naim app, available for iOS and Android. You can also use Naim’s app to play music from streaming services and the Uniti Core through Naim components on your home network. 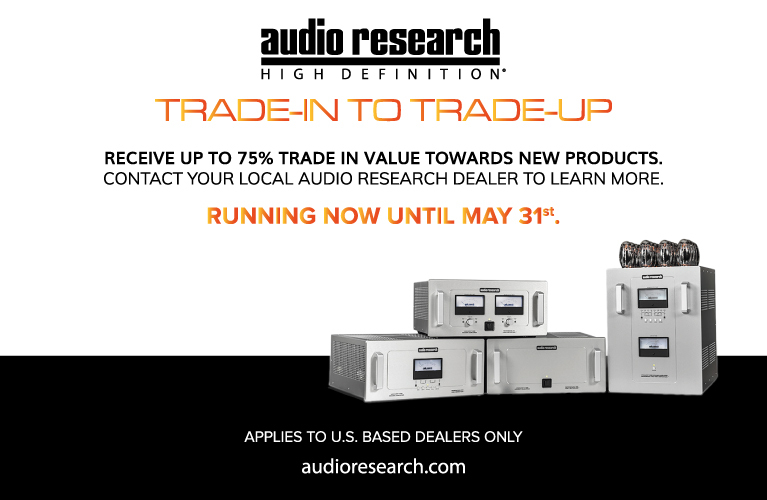 These can be all-in-one units, such as Naim’s Mu-so Qb Wi-Fi speaker ($899), or network-capable components like the Uniti Atom streaming DAC-amplifier ($3295), each reviewed on this site in 2017 and named a Reviewers’ Choice. (The Mu-so Qb was a Product of the Year for 2017.) Music from the Core can be streamed simultaneously to as many as six zones at resolutions up to 32/384, or to ten zones at up to 16/44.1. Alternatively, using Roon music-management software, you can play music stored on the Uniti Core to any audio device supported by Roon. First, you have to import the Uniti Core’s contents into Roon, which you do by configuring the Core as a network share in the Storage section of Roon’s Settings menu. The process is a little fiddly. Click the + Add Folder button, then, on the next screen, click + Add Network Drive. After that, you enter the Network Share location and select the folders you want to pull into Roon. The Uniti Core is built and looks like a tank. Measuring 8.4”W x 3.75”H x 10.4”D, it tips the scales at 15.4 pounds. The case is made of heavy-gauge brushed aluminum, with large, extruded-aluminum heatsinks along the sides. Thanks to those heatsinks, no fans are needed to cool the Core’s innards -- an important consideration if it’s being installed in a room used for music listening. Because the Uniti Core lacks Wi-Fi, you’ll have to hardwire it directly to your network router or to a Wi-Fi access point. My router is on the second story of my home, and the music system is in the living room on the main floor. So I connected the Uniti Core to a Google Wifi access point. The Uniti Core has no built-in storage, so you’ll have to add your own. There are several options. A bay at the rear lets you add an internal hard-disk drive (HDD) or solid-state drive (SSD). While mounting hardware for both types of drive is included, Naim recommends an SSD. Alternatively, you can connect a USB drive to one of the Core’s two Type-A USB 2.0 ports: one each on the front and rear panels. The Uniti Core can also be used with a network-attached storage (NAS) device connected to your home network. Not wanting to buy and install an internal drive, I connected to one of the Core’s USB ports an Adata 256GB external SSD that I’d loaded with music files. Then I downloaded the Naim app to my LG G7 ThinQ smartphone (and later to my iPad Mini), and chose the Setup option at the bottom of the screen. The next screen showed a range of Naim products; I chose Uniti Core, and the next screen confirmed that it was connected to my network. The app recognized my USB drive, but informed me that it had to be reformatted. I’d formatted the Adata as a FAT32 drive, so that it could be read by Mac and Windows PCs and other devices, such as Bluesound music players. But the Core doesn’t support FAT32; the app offered a choice of NTFS (supported by Windows) and HFS+ (supported by Mac). I chose HFS+ with reluctance, realizing that this would render the drive unreadable by products like Bluesound players. The app warned that all data on the drive would be erased -- but what choice did I have? The last step was to choose whether I wanted to use the WAV or FLAC format for ripping CDs. I chose FLAC. Now I needed to refill the Adata drive with music. The Naim app has a function that lets you import music from other devices on your network. If that music is on a Mac or PC, you’ll have to first allow network file sharing and designate folders for sharing music. I found it easier to do this the other way around. The Uniti Core showed up in macOS Finder on my Mac Mini, which functions as my music server. To copy music from my Mac Mini to the Core, I just dragged the folders with the music I wanted to the Core’s Downloads folder in Finder. Most files copied just fine, along with their metadata and embedded art. But DSD files -- albums I’d ripped from SACD, as well as albums I’d bought online -- were missing their cover art, and album titles and artist info I’d embedded in my DSD files were missing on the copies made on the Uniti Core. By contrast, Roon and Audirvana correctly display metadata and embedded art on these albums. For music playback, the Naim app is attractive and it works well. You can view the Core’s contents by Album, Artist, Genre, Composer, and other parameters, such as Newest CDs and Newest Music. You can also create playlists. After selecting an album, you can open a little onscreen booklet that provides album credits and reviews, artist bios and images, and information about similar albums. The editorial content Naim provides isn’t as rich as Roon’s, but it’s definitely useful. I ripped all of my own CDs years ago, so for this review I borrowed a few discs from a nearby branch of the Toronto Public Library. One three-disc set turned out to be a torture test, as you’ll read below. I wanted to see how the Naim Uniti Core’s ripping functions compared with those of the Bluesound Vault 2i, and with the iTunes music-player app on my mid-2015 MacBook Pro. Compared to the Vault 2i and the MacBook Pro, the Uniti Core was a speed demon. It ripped a 57-minute CD of medieval music (Ensemble Unicorn’s The Black Madonna, Naxos 8.554256) in 4:50 -- respective rip times for the MacBook Pro and Bluesound Vault 2i were 10:50 and 11:43. If you’re ripping one disc here and one there, the Uniti Core’s speed advantage may not be a big deal. But if you have a big music library you want to rip, it certainly will be. Even more significant was how these three devices handled metadata. The torture test in question was a three-disc 2007 reissue (Decca 478 3447) of a five-disc 1998 set (Philips 462 302) of Modest Mussorgsky’s monumental opera Boris Godunov, performed by the Kirov Orchestra and Chorus under Valery Gergiev. The 1998 set contains the opera’s original 1869 and longer 1872 versions; the 2007 reissue contains only the 1872 version. The Uniti Core, Bluesound Vault 2i, and MacBook Pro all misidentified the 2007 reissue as the last three discs of the 1998 original. For disc 1 of the reissue set, the Uniti Core entered “Mussorgsky, Modest” as the Album and Artist names. The Album fields for discs 2 and 3 read “Boris Godunov (1872 Edition) [Disc 2]” and “Boris Godunov (1872 Edition) [Disc 3],” and the Artist fields for both read “Valery Gergiev.” Track information for all three discs was accurate. Every time I wanted to play the opera from the Uniti Core, I’d have had to find disc 1 under M, and discs 2 and 3 under B. Fortunately, I could rectify this problem using the Naim app’s metadata editor, which you access by tapping the three-dot icon at the top right of Album view. In the Edit Metadata screen that follows, tapping the field you want to edit (Album Name, Artist Name, Track Names) will take you to a screen where you can enter new information using an onscreen keyboard. When you’ve keyed in the new data, you return to Edit Metadata, tap Save, and you’re done. After I’d used Edit Metadata to set “Mussorgsky: Boris Godunov (Gergiev)” as the Album names for all three discs, they appeared side by side in the Naim app’s Album View, where it was easy to find them and play them in sequence. I found the process a bit fiddly at first, but quickly got the hang of it. Still, I’d rather edit metadata on a computer with a real keyboard and bigger screen. I tried doing this on my MacBook Pro using Tag, a cheap-and-cheerful metadata utility. I was able to navigate to the folder on the Uniti Core that contained the ripped files, pull their metadata into Tag, then enter changes. But when I tried to save my changes, I got an error message: “Unable to write metadata.” In a subsequent e-mail exchange, Naim confirmed that metadata for ripped CDs in the Core’s Music folders can be edited only with the Naim app. However, metadata for music copied into the Core’s Downloads folder can be edited with a third-party utility such as Tag. The Bluesound Vault 2i also scattered the three discs of the Mussorgsky set among the Bs and Ms. The BluOS app has no metadata editor, but it was easy to change album names with the Tag utility on my MacBook Pro. iTunes made a mess of Boris. It misidentified discs 1 and 2 of the reissued set as disc 4 of the original set, then interleaved tracks from these two discs into a single album: track 1 of disc 1 was followed by track 1 of disc 2, then track 2 of disc 1, track 2 of disc 2, and so on. I could have fixed this by changing the Album names for all 46 affected tracks, but this would have been extremely tedious. The Uniti Core had problems with metadata for other discs I ripped. It identified the Artist for The Thelonious Monk Quartet with John Coltrane at Carnegie Hall (Blue Note 3 35173 5) as John Coltrane. It was easy to fix this using the Naim app’s metadata editor. The Vault 2i and iTunes both got this album’s Artist info right. An album of violin concertos by Edward Elgar and Max Bruch, played by Rachel Barton Pine and the BBC Symphony under Andrew Litton (Avie AV2375), was identified simply as “Violin Concertos,” with no album art. I’d have liked to split this into two albums, one each for the Bruch and Elgar concertos, but the Naim app doesn’t allow this. That’s something you can do with utilities like Tag, or with iTunes or Audirvana. You can also merge multi-disc sets, such as the Boris Godunov recording, so that they appear as a single album. 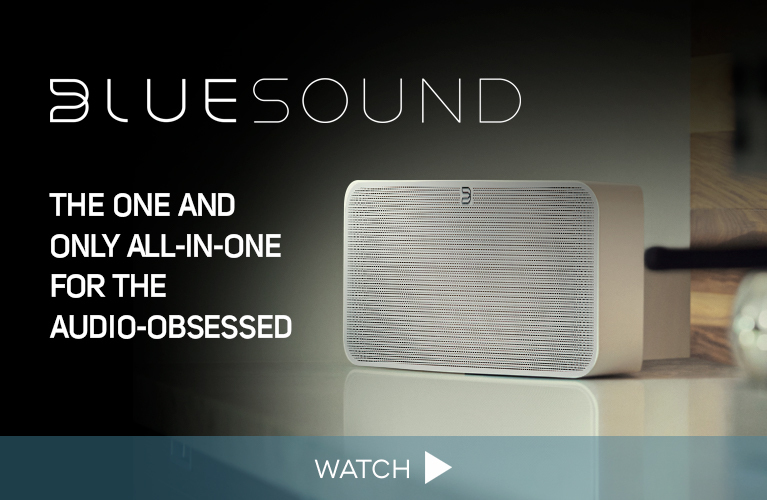 This works not just when playing music from your computer, but from players such as Bluesound’s Vault 2i and Node 2i. Something that’s easy to do with the Naim app is filling in missing album art. When you choose the Change Cover option in the Edit Metadata screen, you see a list of options for obtaining album art (Google, Bing, Discogs, and your own photo library). For the Bruch-Elgar album I chose Discogs, after which my browser opened with a Discogs page showing that album. After I’d tapped and held the album-cover image and selected Copy, I was taken back to the Naim app’s Edit Metadata screen, where the album art was now filled in. I hope I haven’t tried your patience with this long discussion of the Core’s ripping and tagging functions, but this stuff is important. Most people who buy such a product have very large CD collections that include more than a few rarities. If you want to be able to find your music after you’ve ripped it, you’ll want your files to have accurate, consistent metadata, and album art as well. Did the Uniti Core’s “enhanced ripping engine” make a meaningful difference in sound quality? Not really. I copied rips I’d made of disc 1 of Boris Godunov using the Bluesound Vault 2i and MacBook Pro to the Adata SSD drive, and played them from the Core through my Dynaudio Focus 200 XD active speakers. Comparing the Bluesound and iTunes rips with the one I’d made with the Uniti Core, I heard no differences at all. That doesn’t mean that the Uniti Core didn’t offer meaningful sonic benefits. Having no compatible Naim components on hand, I used a direct connection between the Uniti Core and my Dynaudio Focus 200 XD active speakers, running a 2m AudioQuest Carbon digital coax link, plus the BNC-to-RCA adapter supplied with the Uniti Core, from the right speaker to the Core, and a 5m Carbon link from the right speaker’s digital output to the left speaker’s digital input. With a fully wired connection, the Focus XDs support resolutions to 24/192, and the signal remains in the digital domain right up to the output of the speakers’ 150W amplifiers. I used the same setup to connect the Bluesound Vault 2i to the Dynaudio active speakers, then did some extended comparative listening. The comparison clearly favored the Naim server. Compared to the Vault 2i, the Uniti Core delivered superior microdetail and microdynamics, more precise imaging, and a greater sense of space. In Jennifer Warnes’s cover of Tom Waits’s “Invitation to the Blues,” from her The Well (16-bit/44.1kHz ALAC, Impex), I heard more detail in Warnes’s voice from the Uniti Core. Played from the Vault 2i, sibilants were harder but more natural through the Core. I was also more aware of the singer’s breathing, and subtle changes in her inflections. The soundstage was wider, and individual instruments were more clearly separated, with more space around the notes. With Dances from the Bauyn Manuscript, a wonderful recording of keyboard music by the 17th-century French composer Louis Couperin played by pianist Pavel Kolesnikov (24/96 FLAC, Hyperion), the piano tone was fuller and more embodied through the Uniti Core. I wouldn’t say attacks were sharper from the Naim, but they seemed faster and more natural, with longer decays, and little expressive touches in runs and trills emerged more clearly. When I listened to this recording through the Vault 2i, there seemed to be a slightly filmy veneer between me and the music. I don’t want to overstate the differences I heard between the Naim Uniti Core and the Bluesound Vault 2i. They weren’t night-and-day, but I didn’t have to struggle -- or pretend! -- to hear them. I’m sure even diehard bits-are-bits skeptics would be swayed by the comparison. Undoubtedly, the Uniti Core’s heavy shielding, robust construction, and linear power supply all make significant contributions to its sound quality -- and each of those things costs money. The Core costs almost $1600 more than the Vault 2i, even though the Bluesound has more functionality and its own built-in 2TB hard drive -- with the Naim, you have to add your own storage. And the Vault 2i is not only a CD ripper and music server, it’s also a streamer, with support for a multitude of streaming services. It’s also a Roon endpoint, and it has a built-in DAC -- connect it to an amp or receiver, and you’re ready to play. Many of these differences disappear if you use the Uniti Core to stream music to other Naim components over your home network. 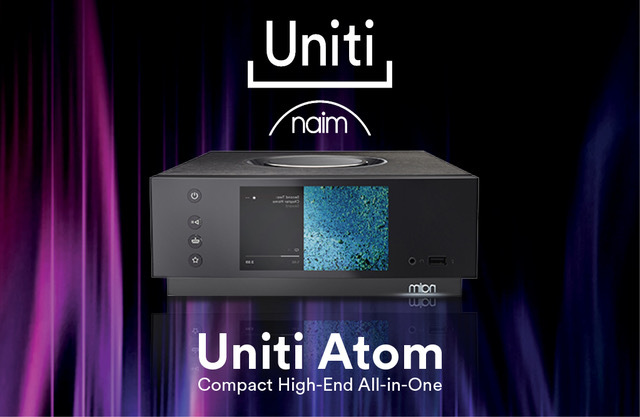 Naim players like the Mu-so Qb and the Uniti Atom have built-in support for services like Tidal and Spotify Connect. And they’re Roon Ready. But as my experience confirmed for me, the Uniti Core is very impressive even as a standalone component. What you get is a superbly engineered product that will store your digital music files, let you organize them so they’re easy to find, and extract details from them that you may not have realized they contain. Price: $2795 USD (storage not included). Warranty: Two years parts and labor; five years with product registration.